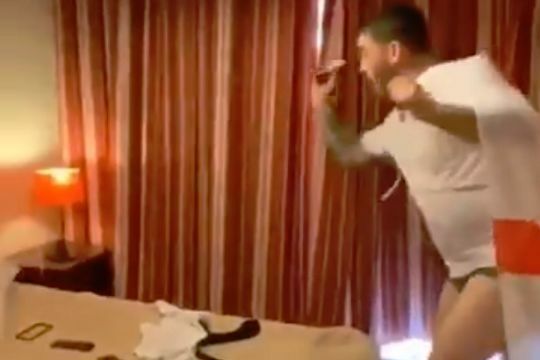 An England supporter has done the Matilda challenge in his accommodation while in Spain for a Nations League match between the two countries. Film fans across the world have taken on the latest social media trend which involves dancing around the room to Little Bitty Pretty One by Thurston Harris. Participants then use their telekinetic super powers on household objects, just as Matilda did in one of the most iconic scenes of the 1996 release starring Mara Wilson. Draped in a flag, England fan Gavin floats around his seemingly quite spacious apartment in Seville while controlling the lights, beds, etc. Gareth Southgate’s side play Spain in League A Group 4 of the competition at the Estadio Benito Villamarín later this evening.